It usually takes about a week from when you apply until your student is able to ride the bus. We have to gather the information, confirm there is available seats, collect payment, create a bus pass, notify the driver and teacher, and orient the student. You will receive a link to make a payment. If you have not received this within 24 hours you can email bus@apamail.org. Once we receive payment, we will make a bus pass and send it home with your student. You should not plan to have your student ride the bus until you have a bus pass AT HOME. Print and complete the School Bus Behavior Expectations document and return it to the Elementary Office. If riding in the afternoon, your student needs a short orientation to learn how to ride the bus. The secretaries at the Elementary Office can complete this. Click here to download a bus map. Payments are made online, and must be paid in full or setup as a recurring monthly payment. The number of riding days varies each month – the cost was calculated for the entire year and divided evenly for those who prefer to pay monthly. Fall, Christmas, and Spring breaks and other holidays are already accounted for. The Elementary office may also accept cash or check payments. Arrive about 5 minutes before the posted time and remain with your students until they have boarded the bus. The bus will load students and leave at the time posted. Secondary students will walk to Draper 2 and load the bus no later than 3:20pm. Elementary students will be dismissed at 3:15pm/2:15pm (first dismissal) and get on the bus before it leaves. The bus is scheduled to leave at 3:25pm/2:25pm. Parents will wait at the bus stop until the bus arrives. The time posted is the earliest arrival time, and we strongly suggest parents arrive by that time. Due to traffic and weather conditions, sometimes the bus comes later than the posted time. Unless they have a walking pass, the bus driver will not leave any students at the bus stop without a parent to meet them. Instead the driver will keep the student on the bus, finish the route, and then try to contact the parent before returning back to the school. Any secondary student can receive a walking pass, which means the bus will drop them off at the stop and they can walk home. Elementary students can have a supervised walking pass as long as they have a secondary student who will walk with them. Requesting a walking pass is included on the application. Some of the bus drivers are full time employees of APA, while others are contract employees. All have passed a state background check and are qualified to drive a school bus. The drivers’ first priority is the students’ safety. They work hard to run the bus route efficiently and to help everyone on the bus have a positive experience. They are provided with rosters so they can contact you in case of emergency. As required by the state, we will conduct emergency evacuation drills twice a year. If your student leaves an item on the bus, they should check with the Elementary office and/or the bus driver to locate it. The driver may keep it on the bus in hopes of getting it to the student the next day, or they may turn lost items in to the front desk. Sexual contact and inappropriate conversation involving sexuality. Placing head, hands, or other body parts out of windows. Tampering with the mechanical and safety functions of the bus in any way. Interfering with fellow passengers ability to safely board, exit, or find seating. Any behavior that is considered distracting to the bus driver and/or prevents him/her from operating the school bus safely. Any other behavior that is disrespectful towards APA students or staff. It is the policy of the APA transportation department to utilize similar consequences set forth in the classrooms when addressing student behavior issues. However, there may be times when additional consequences may be needed. This includes the use of assigned seating and suspension. All buses are equipped with close-circuit cameras. 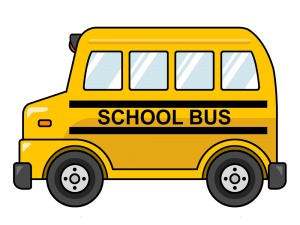 If your student tells you about problems on the bus, it is very important that they or you report the concern to the school directors and to bus@apamail.org. The directors have a photo directory of students who ride the bus, and we will have your student identify those involved so everyone can be interviewed. We will be tracking the behavior problems and following up until the issue is resolved. Suspension from riding: parents would have to come to the school and met with a director. This could last 2-3 days, or result in permanent suspension from riding the bus.